Free Coffee at SWEET Bakery on School Street! 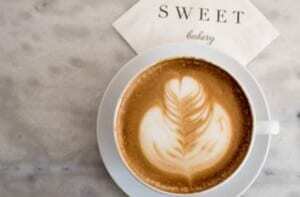 SWEET Bakery is adding coffee to the menu at their School Street location. To celebrate the arrival of lattes, cappuccinos, and more, SWEET will offer guests a free cup of coffee on Monday, April 10, 2017 from 8AM to 10AM. Perfect way to start a Monday morning! SWEET Bakery is located at 11 School Street in Boston. For more information, please head here.